I am so excited that STOLEN by Marlena Frank is available now and that I get to share the news! If you haven’t yet heard about this wonderful book by Author Marlena Frank, be sure to check out all the details below. This blitz also includes a giveaway for a $10 Amazon Gift Card, International, courtesy of The Parliament House and Rockstar Book Tours. So if you’d like a chance to win, enter in the Rafflecopter at the bottom of this post. THIS WAS THE MOST UNIQUE, FASCINATING, BRILLIANT STORY!! The world building!!! It is so well written, enough detail that it paints a wonderful picture in the imagination, where you now start building upon it with your own interpretation!! Which to me is perfection! That is what i want from a book. This world where there are Faeries, Minotaurs, Shadow Wolves and Living Statues, etc. is so reminiscent to me of 80s movies that I loved, like Legend, Labyrinth & Return To OZ. BUT at the same time this one really stands on its own!! I would LOVE to see THIS on this big screen…whoa, that would be awesome!!! As for characters, they were beautifully written!! Dialogue was written so well that the characters were completely believable and you became totally lost in the story!! I loved Shaleigh, the main protagonist!! She’s very believable. She’s strong, but doesn’t know it. I also loved Colin & Mawr!! Mawr, he is something special. There are so many really great characters, whether good or bad, that are just SO WELL WRITTEN!!! This is one of those books that once you get into the meat of it, especially when Shaleigh gets kidnapped and taken to the Garden, you can’t put it down!!! YOU WILL SOOO LOVE THIS BOOK, especially if fantasy is your thing!!! I can’t wait for the next book!!! Shaleigh didn’t think about how much concrete and steel stood over her head as she stepped carefully down the decaying hallway of Ferris Factory. The building had been abandoned for so long that the mildew and fungus ran rampant from the moisture that crept down the crumbling walls, so a respirator was a requirement. Ferris Factory was only two stories tall from the outside, but the floors underground felt endless. The elevator shaft only went down three floors when it had been operational; the rest of the floors could only be reached with the stairs. She doubted any of it had been inspected by the fire marshal. Her best friend, Kaeja, walked so close behind that she could feel her warm breath on the back of her neck. The only sound that echoed up and down the hallway, besides their footsteps, was the snap of Shaleigh’s camera. The photos were why they risked their lives to explore dangerous places: to document the decrepit. It was thrilling to explore a place that nobody else would see. Eventually all the walls would fall, and Ferris Factory would decay into memory. Shaleigh and Kaeja would have the only remaining proof it even existed, especially since it was clear that nobody was supposed to know about this section of the factory. Shaleigh glanced back to her with a smile. “Dad heard it from a colleague at work. They used to keep dangerous people here.” Kaeja stared at her, the beam from the flashlight in her hands trembling. A high-pitched squeal of metal echoed down through the insides of the building, as though the entire structure was shifting under its own weight. The squeal turned into a groan that shook the very floor beneath their feet. Both teens froze, barely daring to breathe as debris fell from the ceiling. Seven levels of exhausted steel, wood, and plaster shifted over their heads. They stood in silence waiting for the walls to give way, waiting to be buried beneath the rusty metal beams, discolored linoleum floors, and rat-infested insulation; but the building remained steady. The noise stopped. Particles drifted in the air. “It doesn’t sound very good, does it?” Shaleigh whispered. A high-pitched noise erupted down the hall causing both teens to jump. It didn’t sound metallic…it didn’t sound like the building at all. Kaeja stared down the hallway with wide eyes. The noise broke into a whimper, and then there was silence. It only lasted maybe a few seconds, but they both knew what they had heard. Someone was down there with them. Kaeja could give no argument and shook her head. “Shaleigh…” she whimpered. “It’s okay, we’ll do it together.” She put her camera around her neck and took Kaeja’s hand. They walked slowly towards the door of the stairwell, side by side, fingers clasped in a death grip. For a moment, Shaleigh thought she saw movement ahead of them and stopped. Kaeja must have seen it too because she swept her flashlight left and right, searching for whatever it was. Just before the beam of light reached one of the doors, Shaleigh was certain she spotted a shadow move into one of the rooms. “Ow…” Kaeja whispered giving their joined hands a tug. Shaleigh realized she had been gripping too hard and loosened her hold but didn’t say a word. Her eyes were fixed on where the shadow had been. As they drew closer, an arm stretched out, hairy with long, black fingernails, and pulled the door closed. There was a splash as though something heavy had fallen into a pool of water from behind the door. Kaeja screamed. A bolt of adrenaline hit Shaleigh and she grabbed Kaeja’s arm. Together they ran. As they passed the door, the knob began to turn with a creak. She wasn’t sure if Kaeja had seen it or not. “Keep going!” she yelled, all pretense of caution forgotten. Once the stairwell came into view, they sped up. Shaleighslipped on a wet spot and her foot skidded. She would have sprained her ankle if she hadn’t grabbed for the wall. What a stupid way to die, she thought as she regained her footing. She had to keep her head straight, because panicking in an old, decrepit building was a sure way to get hurt or killed by whatever was after them. She forced them to slow down to climb over a pile of broken boards and nails. Shaleighhad thought it odd to have it so close to the stairwell when they’d first come down, but now she saw it as a marker, a warning perhaps, to keep trespassers out. As she helped Kaeja down the opposite side of the rubble, she heard limping footsteps approaching them. “It’s coming!” Shaleigh cried and together they sprinted for the stairwell. The flashlight bounced beams off the walls. They hit the metal door like a battering ram, shoving it into the rusted railings of the stairs, causing it to reverberate like a gong up and down the concrete shaft. Shaleigh gripped the metal rail, feeling the flecks of paint come off on her hands, and the raw rust beneath. She exchanged a glance with Kaeja, both trying to catch their breath. The respirator was humid with her breathing and she couldn’t wait to rip it off when they got outside. She looked up the dark stairwell above them and grimaced. There were too many floors between them and safety. Kaeja gasped and reached out to grab Shaleigh’s arm. Shaleigh stared at her. She thought she could make out footsteps from the hall they just left, but it was so faint it was hard to make out. It could have just been the sounds of the building, but she didn’t want to take any chances. Taking a deep breath, Shaleigh led the way as they started up the stairs. One floor, two floors, three floors. Was that the sound of the doorknob beneath them being turned? Kaeja hurried to her side as they continued to climb. Both were audibly gasping now. It wouldn’t take much for their pursuer to know where they went. Shaleigh’sthighs were burning. She could sprint up a flight or two of stairs, but this was tough. It didn’t help that she was already out of breath before they even started climbing. “What if it’s locked us in?” Kaeja asked between sucking in gulps of air. Shaleigh didn’t respond. She didn’t want to even consider that option. They climbed two more flights of stairs. Kaeja reached the door first. They both let out a sigh of relief when the door opened. Panting, they jogged to the main exit, a pair of massive iron doors that looked like they belonged in a mausoleum. Neither of them said a word as they descended the short flight of broken steps to the grass. Shaleigh ripped off her respirator, Kaeja did the same, and they both exchanged grins as they crossed the grass-pocked concrete walkway. It felt good to feel the heat of the day on her skin too. The sun was sinking in the west, but the air was sweet with wild honeysuckle and a light breeze rustled the old oaks. Shaleigh relaxed a bit but could tell by Kaeja’sexpression that she wouldn’t be able to relax until they had left the property completely. The concrete walkway fell away to tall grass that came up to their hips, as they sidestepped small pine trees that were beginning to take over the lot and moved further away from the building. The chain link fence that surrounded the property sported multiple warning signs for trespassers, though they were faded from exposure. Kaeja pulled back the corner of fencing they had used to get in, and they both climbed through without saying a word. Kaeja paused, took a deep breath, and relaxed her shoulders. Kaeja laughed. “No complaints here. I’m going to add that we never go underground again either. I am not running up that many stairs again, no matter how great you say the pictures will be.” Shaleigh couldn’t help but laugh. The downtrodden path through the woods made it a short walk to reach the bus stop. Shaleigh unwrapped the scarf from around her head and shook out her twists. The breeze felt wonderful on her scalp. They dropped everything into Shaleigh’s backpack as they walked. The main road was surprisingly empty for a Sunday afternoon. After exploring inside of decomposing buildings for a while, she had new respect for even the simplest things. The bench for the bus stop, covered in graffiti and bearing a single broken board, looked like a luxury. Kaeja sprawled across the broken wooden bench and covered her eyes with her arms. “I know!” Despite her smile, Shaleigh still glanced over her shoulder, as though expecting the person from the building to be slinking toward them through the woods. Kaeja stared up into the sky. “Someone crazy, I’m sure. It’s a good thing they made some noise. I don’t like the thought of them sneaking up on us like that.” She sat up and patted the bench beside her. Kaeja nodded and the two grew silent from their own nerves. Kaeja’s leg jumped up and down, as though at any moment she would jump up into a sprint. Shaleigh kept resisting the urge to look over her shoulder once more. The bus couldn’t come fast enough. Shaleigh nodded. She hated the tight feeling she got in her chest whenever she thought of those stupid parties. She hated the fact that she had to go. Why in the world did Roseworth College have so many of them anyway? It was like they wanted to torture her. Kaeja nodded but looked concerned. Shaleigh ignored it. The brilliant light of the flash somehow made the dark halls of Ferris Factory less frightening, less dangerous. If only people were so easy to strip of fear. My work has appeared in a spattering of short story collections, but I do have a few novellas and novels in the pipeline. Other than talking about writing, I also talk about cryptozoology, werewolves, wildlife conservation, and of course kitties. 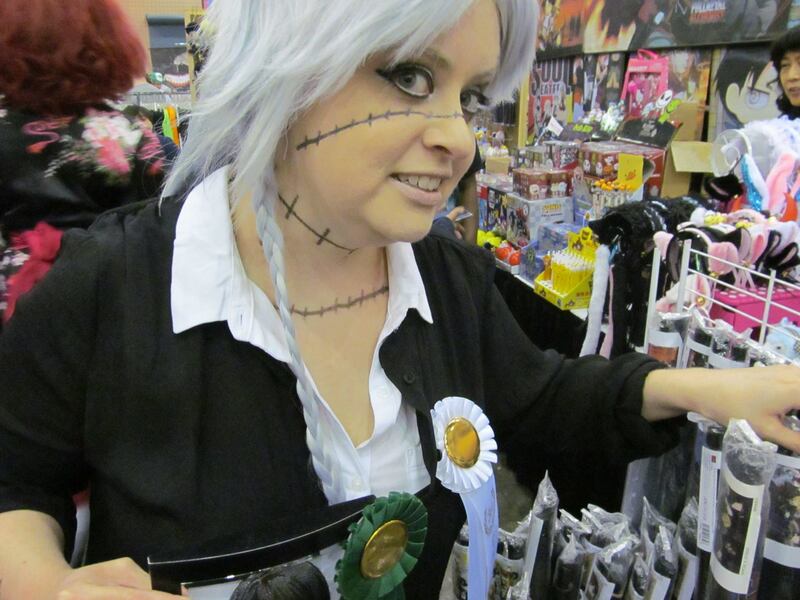 I’ve also been known to nerd out about Batman and The Hobbit, and have recently discovered the cracktastic fun of Black Butler cosplay, so there will likely be more of these incidents. Use the code XMAS2018 on payhip to get 50% off this box set! As a PRE-RELEASE SALE this is available on December 10th!!! GRAB YOURS NOW!!! Make for GREAT CHRISTMAS GIFTS!!! Enter Camelot… Enter the new world… But enter at your peril. Vivienne du Lac has a simple life – or so she thinks. As a freelance researcher, she travels the world with no worry for tomorrow. Then one fateful night, an intruder threatens her life. She wakes up the next morning with no recollection of how she escaped, and no trace of the stranger. Dreams she thought were innocent start making a helluva sense, and so begins a clash between what she was taught is real and the life she was always meant to live. Being the reincarnation of a mythical being – the Lady of the Lake – adds the kind of spice to her life she could have done without. To find out what the past is all about, you’ll have to delve into Avalon Wishes, deeper into Camelot and its politics, into the Fae world and Arthur’s own bed. The covers for The Avalon Chronicles books 1-3 by Alexa Whitewolf are revealed today! Read on to check out the covers and read the blurbs for these books. The covers were created by Y. Nikolova at Ammonia Book Covers. There will be a boxset for these 3 books that will be releasing December 15th, but feel free to get them individually before hand if you can’t wait! Vivienne du Lac has everything she could wish for – a normal, peaceful life, a good job, cushy nest egg, and a semi-social nightlife. The only problem? She’s clueless to being the reincarnation of the Lady of the Lake, mythical sorceress from King Arthur’s time, and Merlin’s apprentice. Sebastien Dubois is the guy you wouldn’t take home to mom and dad. He’s the one you jump off on a motorcycle with, to ride into the sunset. The sexual chemistry between them is sizzling from the start – but there’s more to the tall, dark and handsome stranger. When a magical past tumbles into her orderly reality, he is Vivienne’s only hope at survival. Caught between darkness and light, a battle she has no intention to fight – let alone the knowledge to win – Vivienne quickly finds out not even closest allies can be trusted. Can she look within and access powers from long past, become the enchantress Merlin meant her to be… Or will she lose it all over love, for Sebastien’s salvation? This is a battle between good and evil you don’t want to miss. Gods, Faes, demons and sorcerers are all dispensable in this epic saga set in the Arthurian legend period. Meet Emrys, a young wizard with uncommon powers, trying to find his way in a world suspicious of the unknown. A wizard of light magic, he attracts darkness like honey does bees. Enter Atrox, Merlin’s ever foe, and sometimes friend. A deity banished to the underworld, he is tasked with creating havoc on earth and corruping the hearts of easily influenced humans. And who is the woman entering Merlin’s life, mysterious and elusive, with a hint of sadness that tugs at his heart? Will his love save her, or become both their doom? As these opposites’ fates intertwine in fights, bonds and heartache, Merlin grows in his powers…Perhaps too much. Vivienne is still reeling from the fight with Carleigh and finally enjoying some well-deserved quality time with Sébastien. Absorbed into each other, neither is aware of the dark forces lurking in the shadows that threaten their newfound happiness. The one who could warn them stays silent – not out of choice. Alistair finds himself bound to a mysterious new enemy, only for an old lover to come to his rescue. Will his demon lord powers be enough to help the Lady of the Lake and her savior? Or will he be faced with a choice that could change everything, including his loyalty? And what of Merlin, whose sole purpose was to imprison the now-immortal Carleigh? Try as they may, none of the heroes can reach him, and his eerie silence is worrisome. Lost opportunities, bitter lovers and ambitious sorcerers collide in one last battle for the fate of the world. In this final installment of the Avalon Chronicles, everything will come full circle…but not everyone may get a happy ending. Alexa Whitewolf is a dog-loving, caffeine-addicted, all-around traveling enthusiast. Author of three series of fantasy, paranormal and young adult, she spends her nights dreaming up new stories and her days fighting reality. She lives in Ottawa, Canada, with her husband and two mischievous furballs- Zeus and Achilles. Check out her website at www.AlexaWhitewolf.com! Check out this amazing cover and thrilling excerpt for REMEMBERING MAJYK by Valia Lind! Calista Faulkner never believed in fairy tales…until she is thrust into one.While attending a college party, she’s attacked by terrifying creatures straight out of a modern day Dr. Frankenstein’s handbook. Fleeing for her life, she discovers that her human memories are a lie and nothing is what it seems. Darkness envelopes me like a cloak of fine silk, rustling against my skin and calming my racing heart. I’ve been running for what seems like hours and the night is a welcomed protector, keeping me hidden from the monsters. The rain comes as sudden as a shadow of a bird racing through the sky, soaking me instantly. Although, if I ever had a time to panic, right now would be the best possible moment. When you go to a party for a friend, and get attacked by monsters straight out of some dark fairytale book, panicking is almost demanded. My heart is racing, as I try to calm myself down long enough to figure out what to do. I stop moving, letting my eyes scan the street around me, but there is nothing but a sheet of rain between me and the buildings. I hear footsteps behind me, the same instant a body comes crashing around me. Strong arms pin me close to a solid chest, slamming me against the wall. I yelp and a hand claps over my mouth. Struggling against the human cage, a fierce whisper pierces my ear. Just like that, everything freezes inside me. My body heats up at the sound of his voice and I raise my head to find Brendan’s eyes on mine. He’s the last person I expect to see, and yet, this feels as familiar as a memory. I open my mouth to ask the question, but he shakes his head and transfers his attention to our surroundings. The tall buildings rise on each side of us, the rain making everything glisten in the darkness. The full moon casts shadows on the cars parked along the street, turning a typical neighborhood into a scene straight out of a horror movie. Brendan grabs my hand and pulls me after him, away from the main road. Surprisingly, I don’t question him, but follow as he leads me away with the same urgency that runs through my blood. I stumble over my feet, but he keeps me upright. Glancing behind me I see shadows moving, closing in. There’s at least a dozen bodies running after us, close to the ground as if sniffing out our scent. “Brendan!” I choke on his name, as the panic threatens to overwhelm my senses. He glances over his shoulder, assessing the situation and I see the frustration written there as plain as day. The odds don’t look so good for us, and he knows it. Before I can offer advice, he pushes through a door on our right. Running behind him, as he holds my hand steady in his, I wonder how in the world I have found myself in this position. The thought is much calmer than I expect my mind to be at the moment, and that makes me pause. Brendan senses me slowing down, and turns to look behind him. “What’s going on Brendan?” I ask, when his eyes meet mine. I’m not even that out of breath. ”What are those things and why are they chasing us?” My voice rises with panic, as if now that I’m saying the words out loud, it’s finally real. “That’s great and all, but you don’t actually expect me to trust you, right?” I ignore the fact that it seems I was doing just that thirty seconds ago. It’s like a reflex. It’s been that way since the day I met Brendan. The moment he came into my life it was like trying to tune a radio and finally finding the right station. The feedback buzz is gone and there’s comfortable silence. There is truth to his words, because I do know him and I do trust him. For some reason, that’s all I need to hear before I’m the one dragging him up the stairs. Author. Photographer. Artist. Born and raised in St. Petersburg, Russia, Valia Lind always had a love for the written word. She wrote her first full book on the bathroom floor of her dormitory, while procrastinating to study for her college classes. Upon graduation, she has moved her writing to more respectable places, and have found her voice in Young Adult fiction. You can visit her online at http://valialind.com or follow her on twitter, where she spends way too much time, @ValiaLind.